My first medium format film camera is right here, the Mamiya M645. A classic beauty. Built like a tank & really heavy. I bought this about 3 years ago on a bit of a flier. I was about 2 years into my editorial fashion / model photography focus and thought it would be interesting to use film during some of the shoots. Good excuse? Not really, but hey, who said photographers always made good purchasing decisions. Anything can be justified. Come on, you know it's true. Anyway, I researched medium format cameras and decided to get something fairly simple and manual. I'm fluent with lighting, aperture settings and using a light meter so I'm cool with a manual camera. 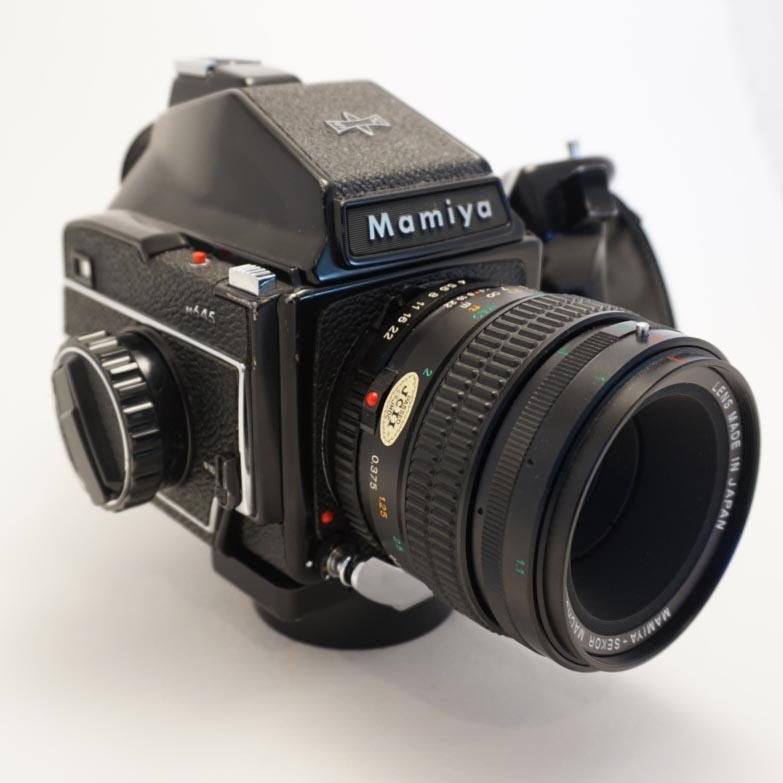 My search took me to the Mamiya 645 line. 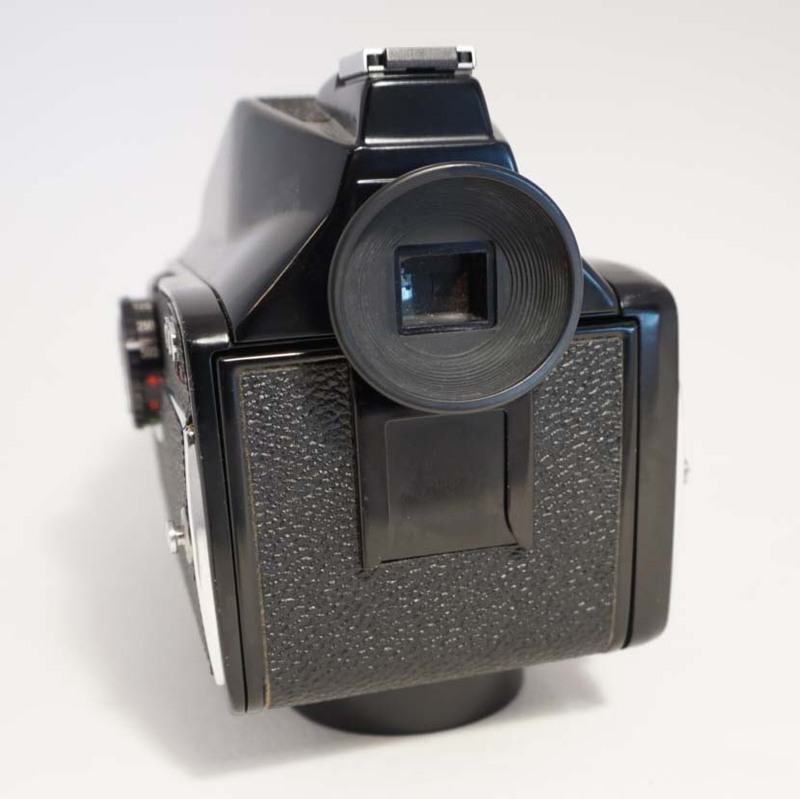 I focused on the basic M645 with a standard pentaprism viewfinder. No light meter on the M645, unless I switched out the viewfinder. I bought it on eBay for about $150 including a Mamiya-Sekor 150mm f/3.5 lens. A standard portrait lens as the effective focal length is about 85mm. It was a good deal and really clean. It already had a battery in it with good power. This is important because the shutter won't fire without a battery. 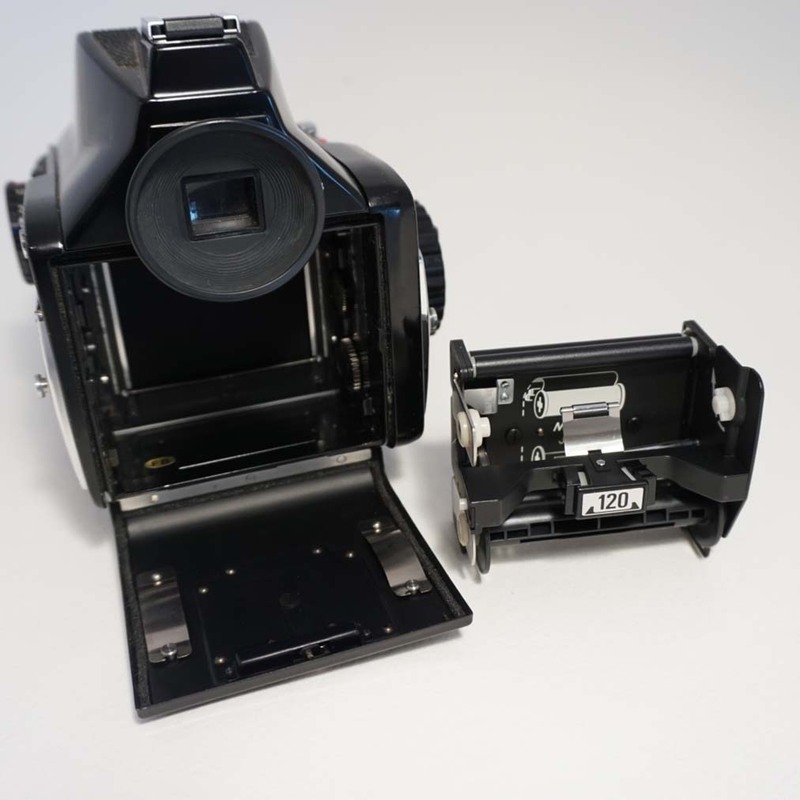 The Mamiya M645 does not have a film back, but a film insert. The inserts are available in both 120/220 sizes. You simply open the hinged back (took me a while to figure out how to get this open), and take out the insert. You load your film onto the insert (there are plenty of YouTube videos on how to do this, so I'll not bore you here), and put it back in. When you put the insert back in there is a pleasing, click as it locks in place. Don't worry, you can't close the back door if the insert is not properly seated. You then wind the film crank until it reaches #1. It stops at that point, and you are ready to go. 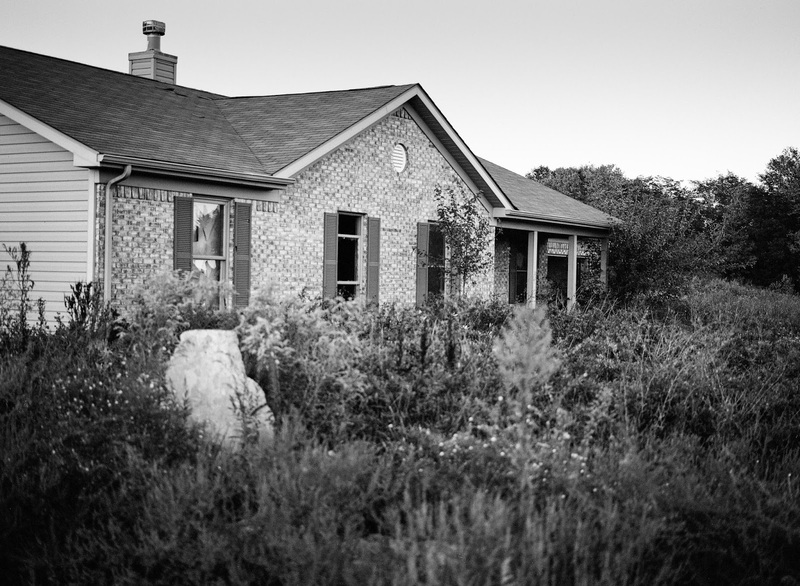 Once you get the hang of it, loading the Mamiya is easy. 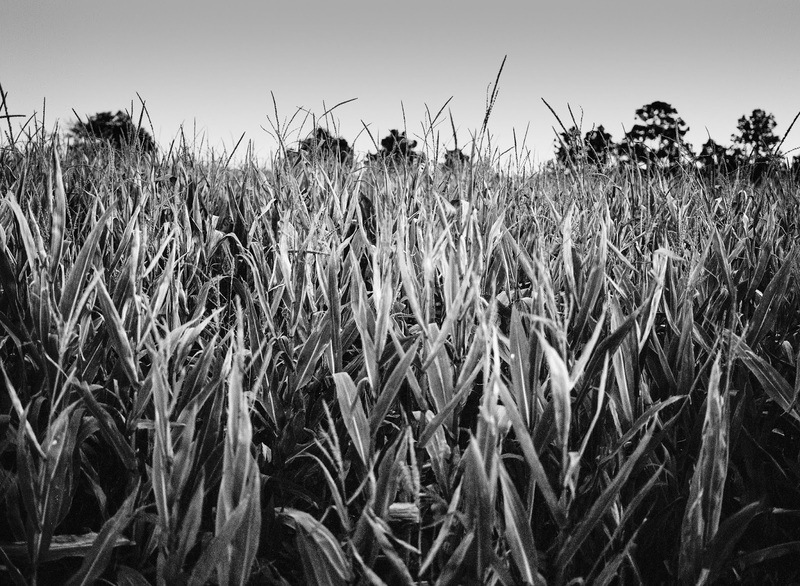 Simply set the aperture & speed to the desired setting, focus the lens and you are ready to go. There are 2 shutter release buttons depending how you are using / holding the camera. One is located on the top of the camera at the front on the right. This can be triggered with your thumb. The other is on the front of the camera lower right of the lens. This is the release that is triggered with my hand grip. 2 shutter release buttons are handy. 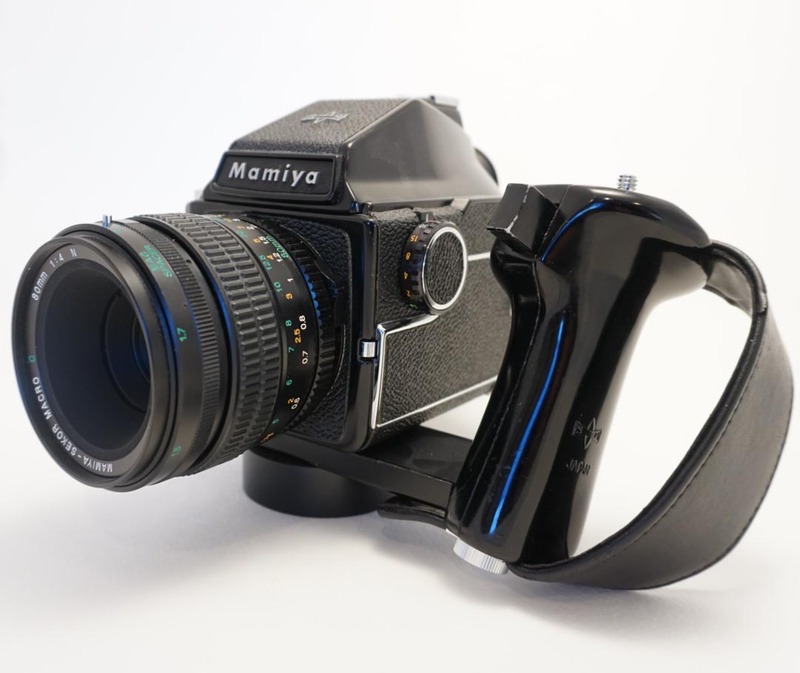 All Mamiya M645 models share similar accessories including finders, screens, grips, lenses, etc. Red battery test button with a little green light to check the battery strength...very handy. 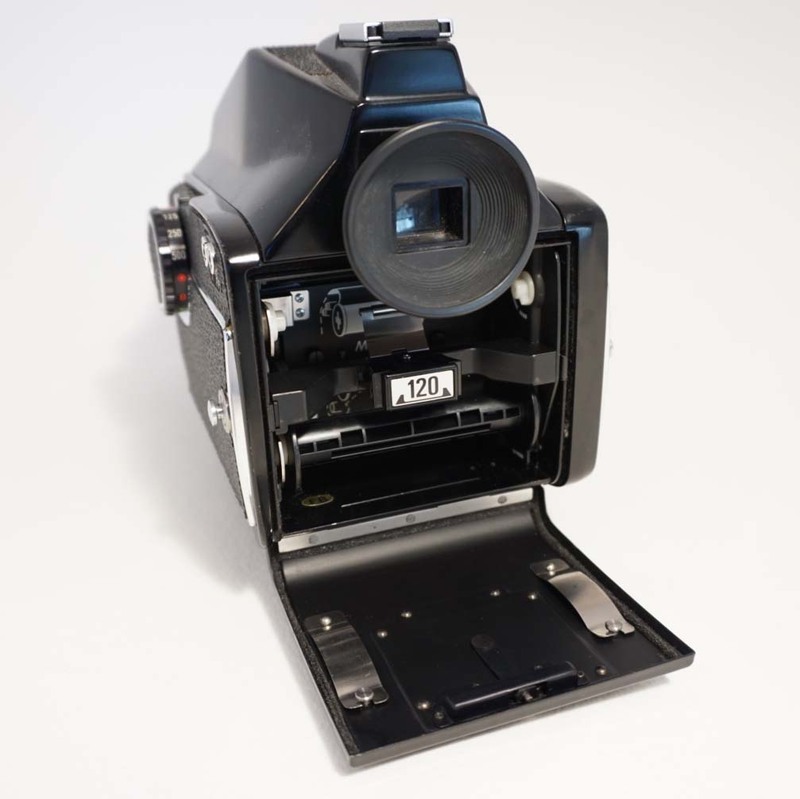 2 flash synch terminals: electronic = "x", bulb = "FP"
There are multiple viewfinder prisms available including a waist level "sport", metered prism, etc. Shooting the camera requires a hand held light meter, the Sunny 16, or simply a good working knowledge of light settings. I've used all 3 with good results. I'm really happy with the camera. I've run about a dozen rolls through it. All have been Ilford XP2 400 Super. The results are soft. I think part of the softness is that I haven't nailed the focus every time. It is definitely a retro feel to the photos. By the way, being a medium format the negatives are huge, so a well focused / properly exposed photo can be blown up greatly. One other thing, when you take this beast out for street photography or a model shoot it definitely gets stares.